Slip your ring into this 1/5 ct. t.w. diamond and 14K yellow gold ring guard for an extra pop of sparkle. Made in America. Metal: 14K yellow gold Stones: 1/5 ct. t.w. round diamonds Color: G-I Clarity: I1 Setting: Prong Diamond total weights may vary between .01 and .08 carat. Jewelry photos are enlarged to show detail. Diamond Snake Band In 14k Yellow Gold, .15 Ct. T.w. Diamond Crossover Ring In 14k Yellow Gold, .85 Ct. T.w. Diamond Stackable Band Ring In 14k Yellow Gold, .15 Ct. T.w. 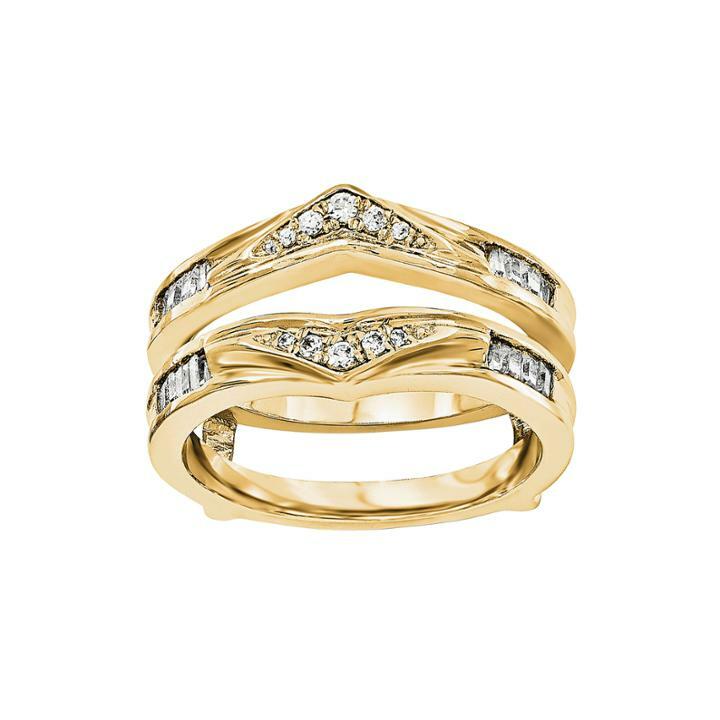 Diamond Band Ring In 14k Yellow Gold, 1.0 Ct. T.w. Black Diamond Band In 14k White Gold, .15 Ct. T.w.